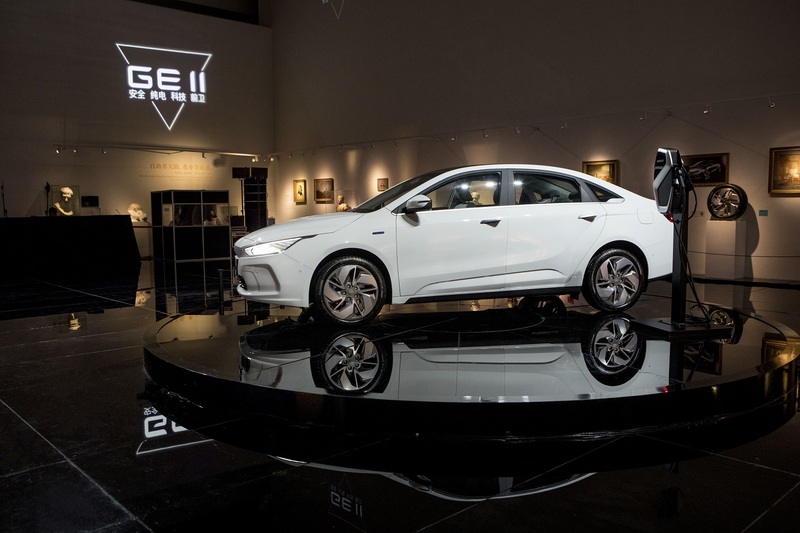 Geely Auto Group’s first pure electric brand Geometry and its first model Geometry A was launched in Singapore. The high-end model comes in two versions, standard range and long range, in a total of six different configurations. The launch of the Geometry brand represents the importance Geely has placed on the development of new energy in this new era. Geometry gets it namesake from mathematical geometry which emerged thousands of years ago to describe the world as humans saw it. 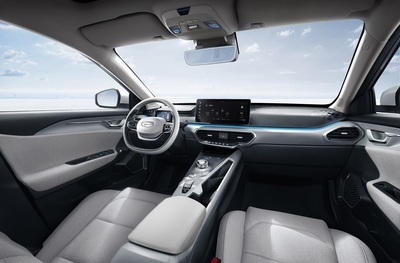 The Geometry brand is Geely’s vision of the future in which technology is used to create a sustainable environment and safe mobility, leading to a harmonious relationship between humanity and nature. With exclusively developed platforms, distribution channels, and products, Geometry will open a new era of dialogue with consumers. 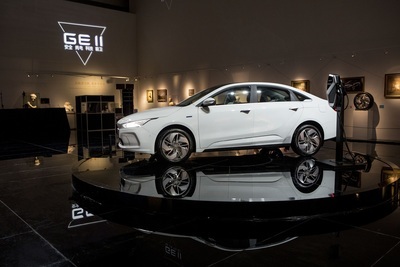 By 2025, Geometry will launch 10 pure electric models in multiple segments including sedans, SUVs, crossovers, and MPVs. Letters in mathematical geometry express infinite possibilities and similarly Geometry models which have infinite potential will also use letters as names. 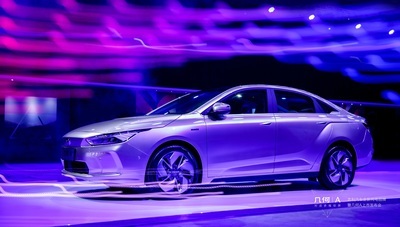 As a globally strategic pure electric model, Geometry A will redefine the standard for pure electric sedans with its comprehensive package combining class-leading safety, attractive design, technological strength, and high-capacity battery to become the top choice for pure electric vehicle users. 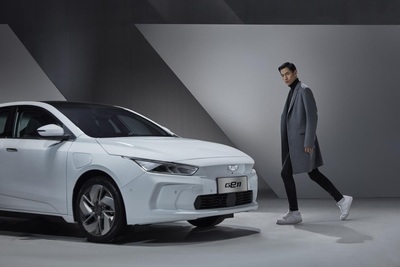 Geometry A’s comes in two versions, standard range and long range version which use CATL ternary lithium batteries that respectively have a capacity of 51.9kWh and 61.9kWh. The standard range version achieves a combined urban & highway NEDC range of 410km, while the long range version achieves a combined urban & highway NEDC range of 500km, both effectively eliminating range anxiety. Geometry A consumes an average of 13.5 kWh per 100KM traveled. Based on the price of electricity in Beijing, 1KM would cost just .07 RMB (USD $.01) and a daily 30km commute would be less than 2 RMB (USD $.30). 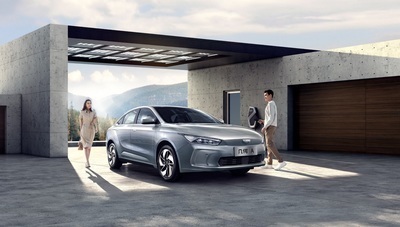 In order to ensure the efficient operation of the permanent synchronous magnet motor, Geometry A uses Geely New Energy “Intelligent Power” technologies which includes an intelligent high-efficiency electronic control system, HEDS High-efficiency electric drive system, lightweight high energy intelligent battery system, and ITCS Intelligent Battery Temperature Control System. 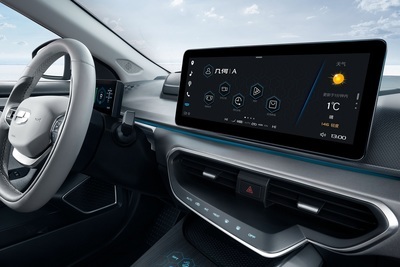 Continuous monitoring of the battery system and motor ensures smooth energy output while the intelligent temperature control system ensures efficient battery performance in any weather. The powertrain system provides a maximum power of 120kW and maximum torque of 250 Nm allowing Geometry A to reach a speed of 100km/h in 8.8s. Using Fast Charge, Geometry A can charge from 30% to 80% in just 30 minutes. 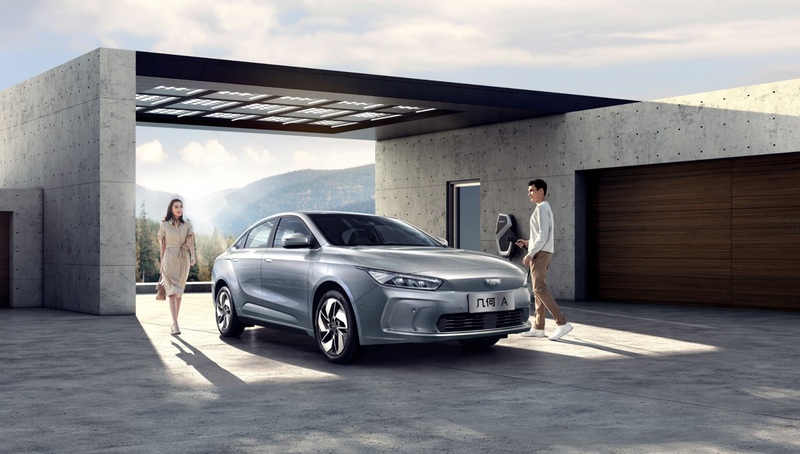 In addition, Geometry A is equipped with the Super E Energy Station system, which can supply power to laptops, ovens, lamps, and other equipment with an external power plug, allowing users enjoy outdoor life with ease. “Safety” has long been engraved in Geely’s DNA and the same level of attention to safety has been passed down to Geometry A. The model comes equipped with a unique MOD front and rear moving object detection system, RML intelligent driver seat pre-tensioning seat belt, and other active and passive safety features. 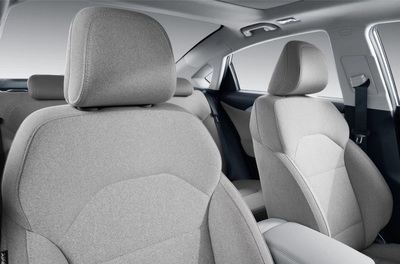 Comprehensive configuration of active and passive safety features provide users with all-round protection. In terms of active and passive safety, Geometry A is equipped with Bosch 9.3 ESP system, AEB-P Automatic Emergency Braking with Pedestrian Detection, IHBC Intelligent High-Beam Control System, CVW Collision Warning System, and a braking distance of only 37.1m from a speed of 100km/h. 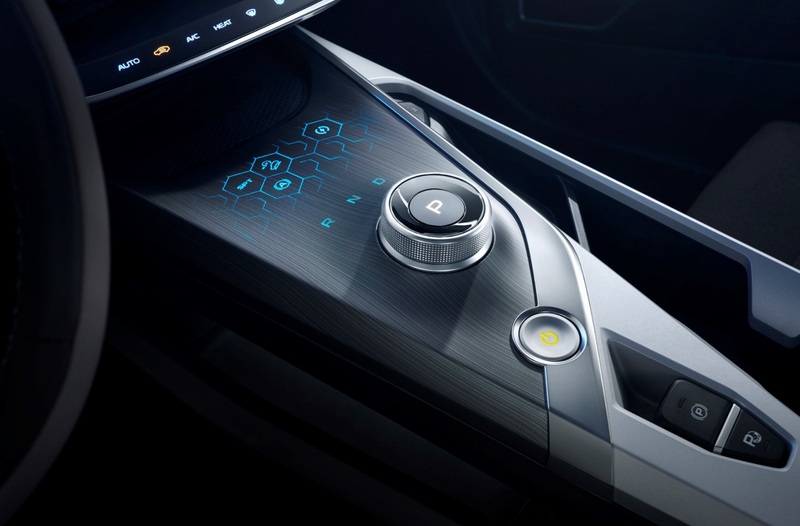 At the same time, Geometry A uses aluminum alloy and composite materials to create a five-star safety standard body. Even while reducing the vehicle weight, structural strength was not compromised. Geometry A’s roof has a weight-bearing capacity of 4.12 times its own weight, exceeding the American IIHS standards. Geometry A takes a humanized approach to safety with features that protect privacy, property, and children. Geometry A owners can even limit the speed of the vehicle preventing friends and family who borrow the vehicle from violating speed limits. 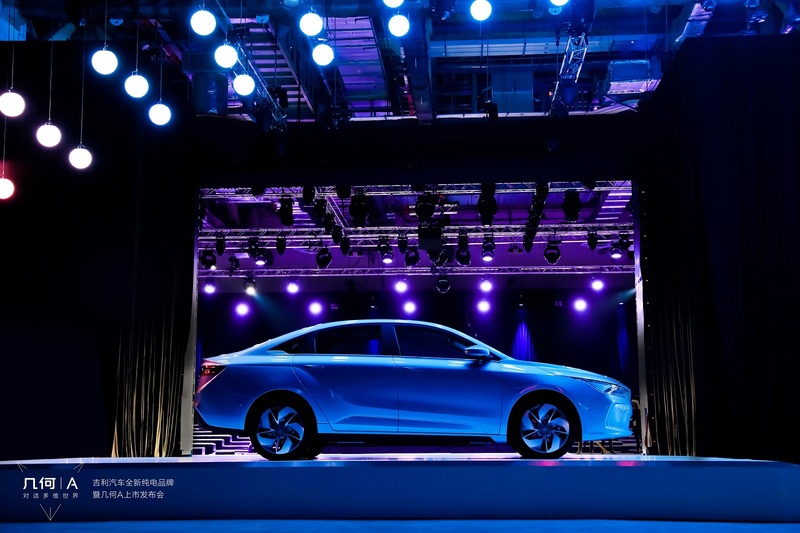 Geometry A is the first pure electric vehicle in China to achieve L2+ intelligent drive. 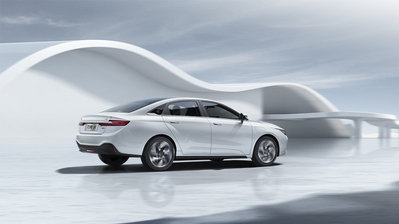 L2+ intelligent drive capabilities are generally only found on luxury class models. To achieve this, Geometry A takes full advantage of multiple cameras and millimeter wave radars. Using data from the high-resolution cameras and precise radars, Geometry A is able to offer AEB-P Automatic Emergency Brake with Pedestrian Recognition and full-speed ACC intelligent adaptive cruise control at speeds up to 150km/h. 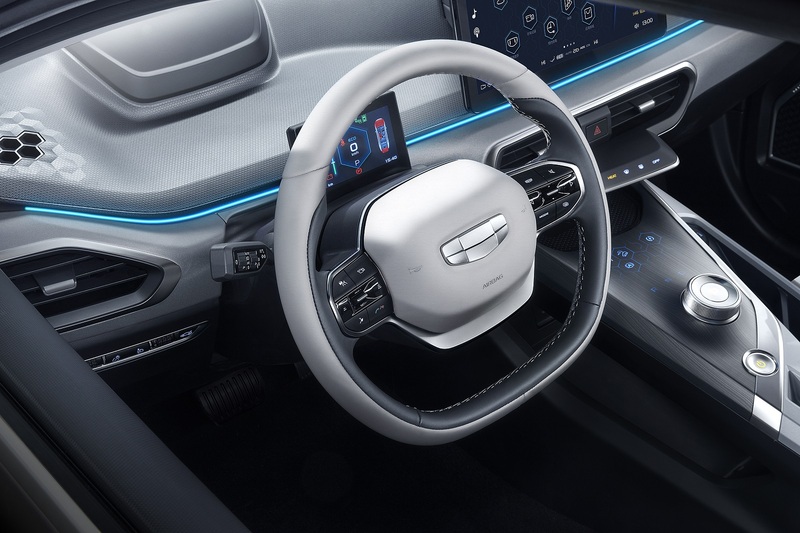 Rear and side radars allow Geometry to offer RCW/FCW Front/Rear Collision Warning, DOW Door Open Warning, LKA+ Lane Keep Assist, BSD Blind Spot Detection, LCA Lane Change Assist, and ACC S+G Adaptive Cruise Stop and Go. The comprehensive camera and radar configuration allows Geometry to see and track objects all around the vehicle. Designed for global users in Geely Design Shanghai, a design concept of being “Multi-Dimensional, Fluid, and Alive” was adopted for the Geometry brand and its first model. 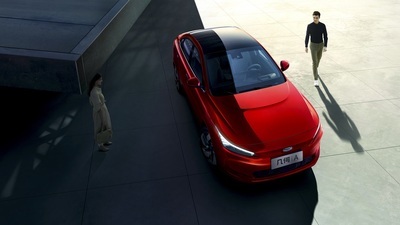 Geometry A uses a minimalistic, avant-garde design, which pays special attention to the aerodynamics of the vehicle’s exterior. Merging the art of design with the science of engineering have resulted in a model with an aesthetically pleasing fluid form, offering an ultra-low drag co-efficient of 0.2375cd, comparable to high-performance models. 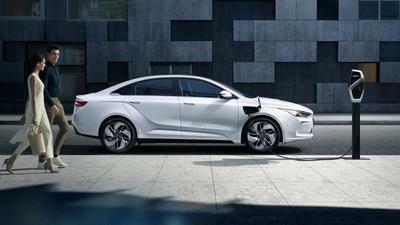 Inside Geometry A, the purity of electric vehicles is reflected with a minimalistic elegance. But minimalistic doesn’t mean plain, subtle design elements such as laser engraved panels, geometric pattern design, touch buttons, etc adds a high-tech elegance to the interior. The interior also adopts eco-friendly materials such as the EU-certified baby skin-safe seat fabric which reinforces Geometry A’s care for people and the environment. 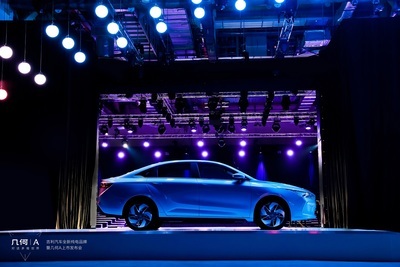 Geometry A is the cumulation of Geely’s latest technologies and manufacturing prowess in the field of new energy. 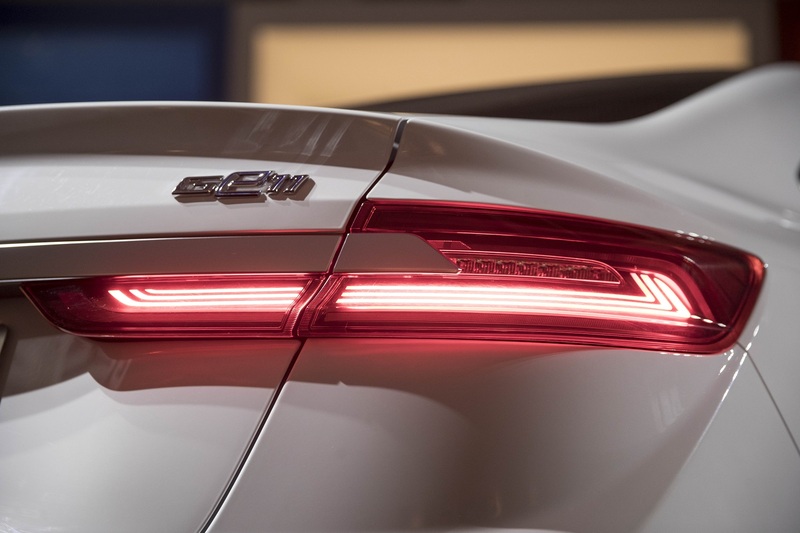 It’s the safest, best-looking, and most avant-garde pure electric model in its market segment and setting a new benchmark for A-segment pure electric sedans with its comprehensive configuration. Geometry A has already received over 27,000 orders, 18,000 of which are from overseas customers in countries such as Singapore, Norway, France, etc. With the official launch of Geometry A, global A-segment pure electric vehicle customers no longer to have to settle for less, their “A” option has arrived. The new era of pure electric vehicles is here. Geometry A Manufacturer Suggested Retail Price (China Market Pre-Subsidies). Geometry A Manufacturer Suggested Retail Price (China Market Post-Subsidies). 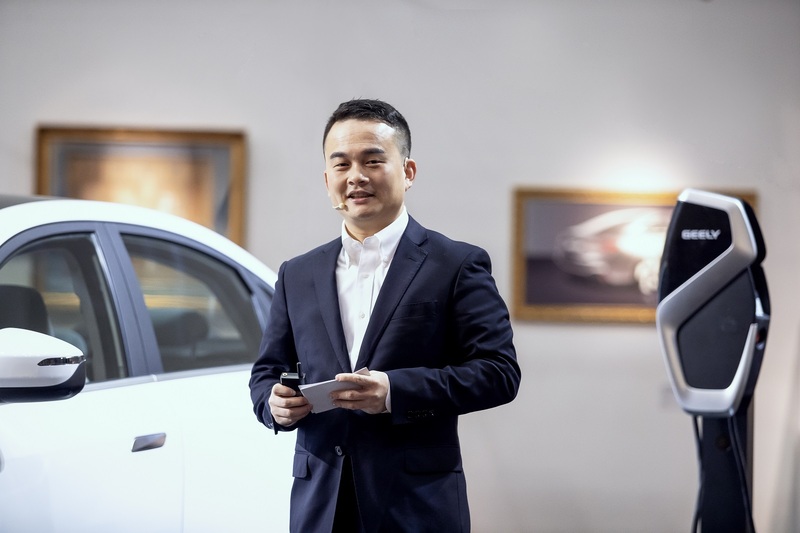 Zhejiang Geely Holding Group (ZGH), is a global automotive group based in the city of Hangzhou in south-east China’s Zhejiang Province. 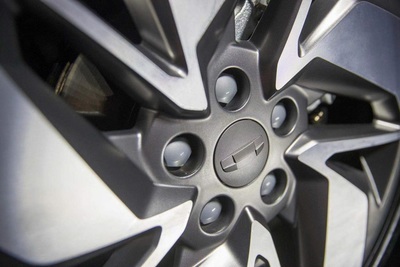 The group was established in 1986 and launched its automotive business in 1997. 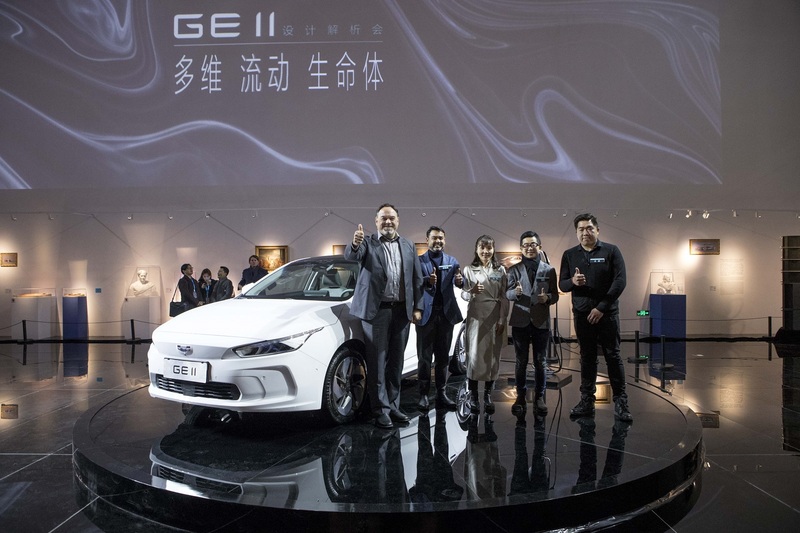 ZGH consists of many well-known international automotive brands including Geely Auto, Lynk & Co, Volvo Cars, Polestar, PROTON, Lotus, London Electric Vehicle Company, Yuan Cheng Auto, and Terrafugia with global operations spanning the automotive value chain, from research, development and design to production, sales and servicing. Zhejiang Geely Holding Group shoulders the responsibility for setting the benchmark in China’s automotive industry, promoting a corporate culture of entrepreneurship, and showing others the value of scientific research and development. 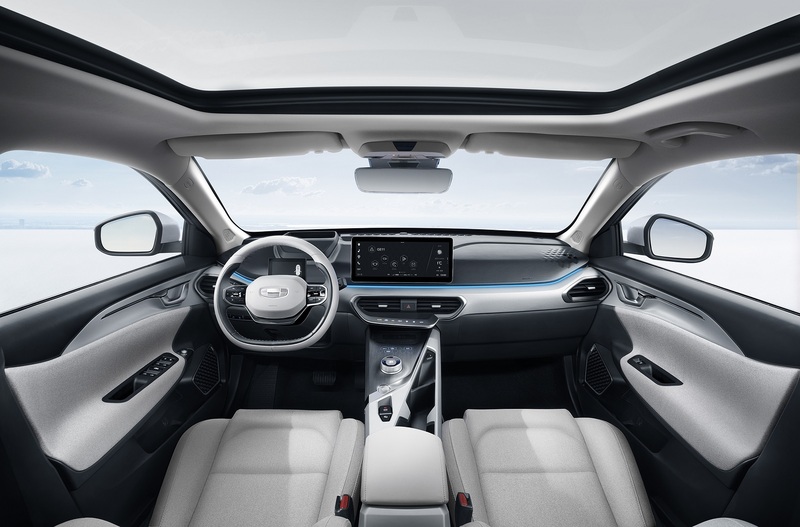 Geely Holding Group is committed to vigorously pushing the development of world-renowned automobile brands and providing high-quality products for multiple market segments in order to meet different levels of consumer demands. 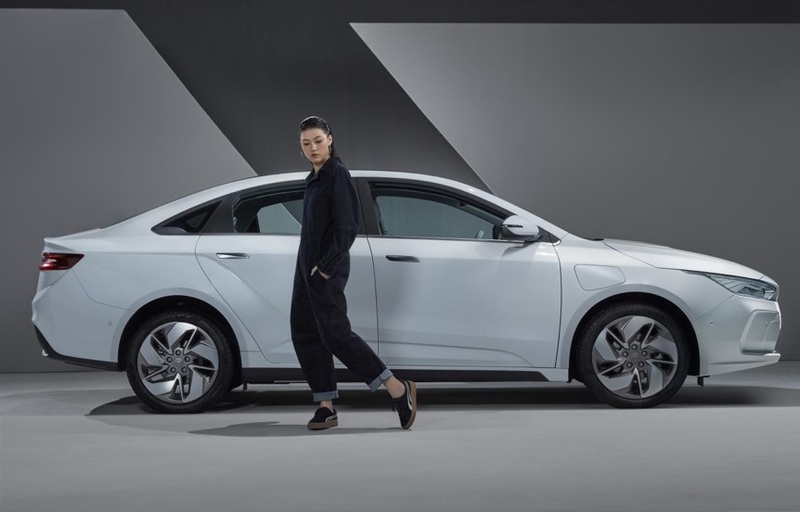 The Group has over 80,000 employees, including 50,000 at Geely Auto, 31,000 at Volvo Cars, and 1,000 at the London Taxi Company. With total assets of over RMB 270 billion, the company has been a member of the Fortune Global 500 for seven consecutive years.